Starting with version 5.0, the Android operating system lets you configure your smartphone or tablet to work with only one application. For example, you can configure your smartphone to work only with izi.TRAVEL. 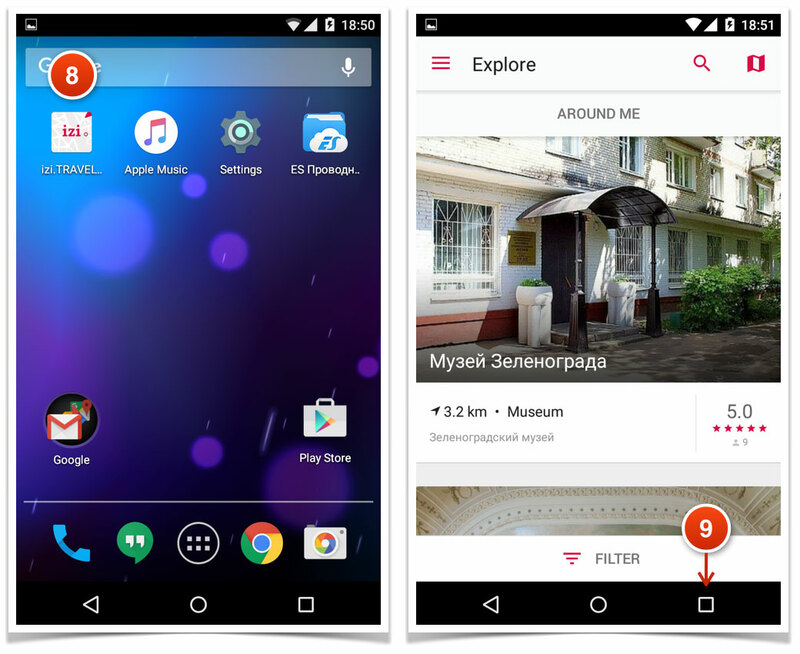 Then, the smartphone is transformed into an audio guide that you can rent to museum visitors. Toggle the screen pinning switch to the ON position. Toggle the lock device switch from un locked to ON. Set up protection using one of the options: Pattern, PIN, or Password. Select Don’t show notifications at all and tap Done. Now you need to select the app that will be used on the smartphone. No other apps will be accessible. Go to the desktop and select izi.TRAVEL. You’ll see a cascade of open applications. The first window will be izi.TRAVEL. Swipe the first window upwards so that the select button for the app is visible, and then tap on it. 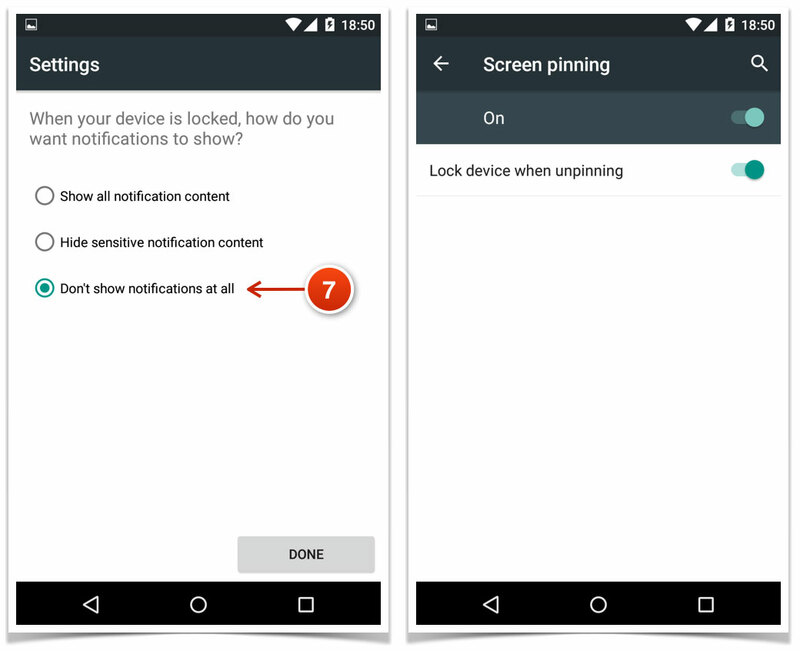 A screen will open confirming that pinning is activated and telling you how to cancel it. Tap on GOT IT. Now the only application that will function on the smartphone is izi.TRAVEL. At the same time, tap and hold the Back and Overview buttons. 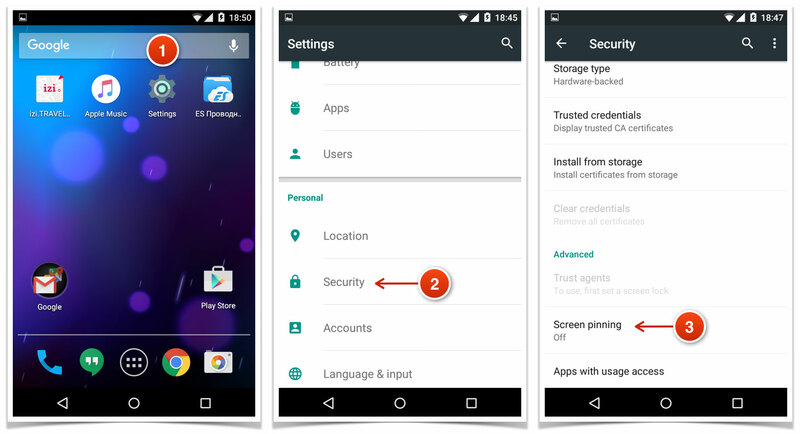 In the window that opens, enter the data you selected to protect the smartphone: Pattern, Pin, or Password. 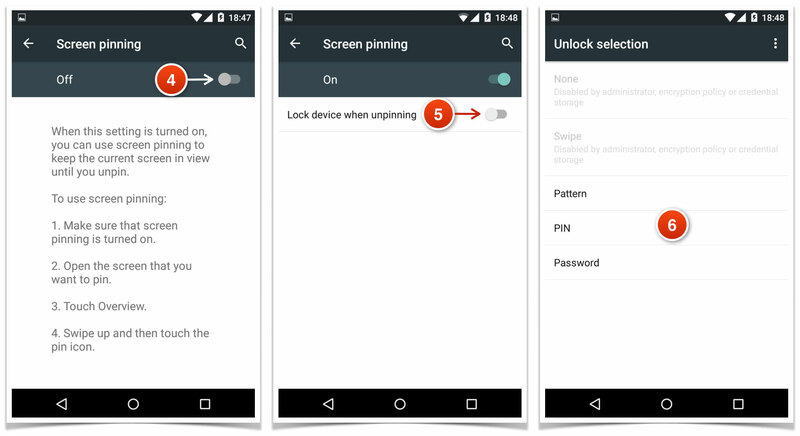 Go to Screen pinning by repeating steps 1-3.